Description: Paramount Pictures and Marvel Entertainment present the epic adventure, "Thor," which spans the Marvel Universe from present day Earth to the realm of Asgard. At the center of the story is the mighty Thor (Chris Hemsworth), a powerful but arrogant warrior whose reckless actions reignite an ancient war. 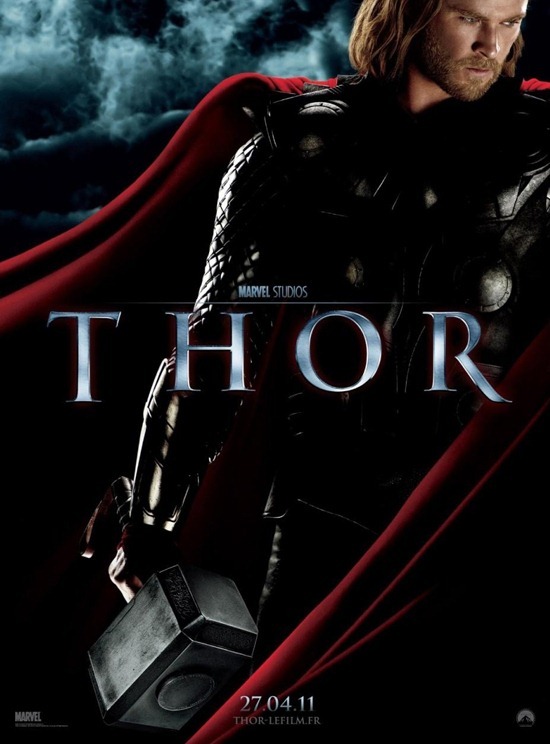 Thor is cast down to Earth by his father Odin (Anthony Hopkins) and is forced to live among humans. A beautiful, young scientist, Jane Foster (Natalie Portman), has a profound effect on Thor, as she ultimately becomes his first love. It’s while here on Earth that Thor learns what it takes to be a true hero when the most dangerous villain of his world sends the darkest forces of Asgard to invade Earth. EN Review: What do you get when you mix a Shakespearean director/actor with a Marvel superhero? Hammer Time!! This is a fantastic movie that infuses heart and soul into one of Marvel’s lesser known characters. We expected to be disappointed and that was definitely not the case as this was entertaining, fantastic looking, well written, and struck exactly the right tone. On a side note, it is amazing that Marvel’s plan for the universe has yet to have a real misstep. That is impressive in itself. Clip: Jane (Natalie Portman) checks Thor (Chris Hemsworth) into a hospital, and when he wakes he goes on a rampage. Cast: Chris Hemsworth, Anthony Hopkins, director Kenneth Branagh, and the cast discuss bringing Marvel’s god of thunder to the screen.